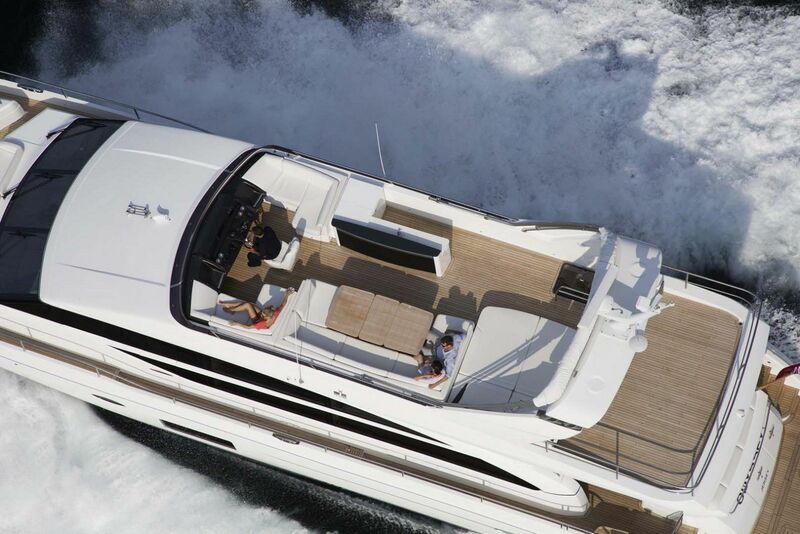 Stunning and graceful, the Princess Y82 Motor Yacht is the middle child of the Y-class range between the Y88 and Y75. 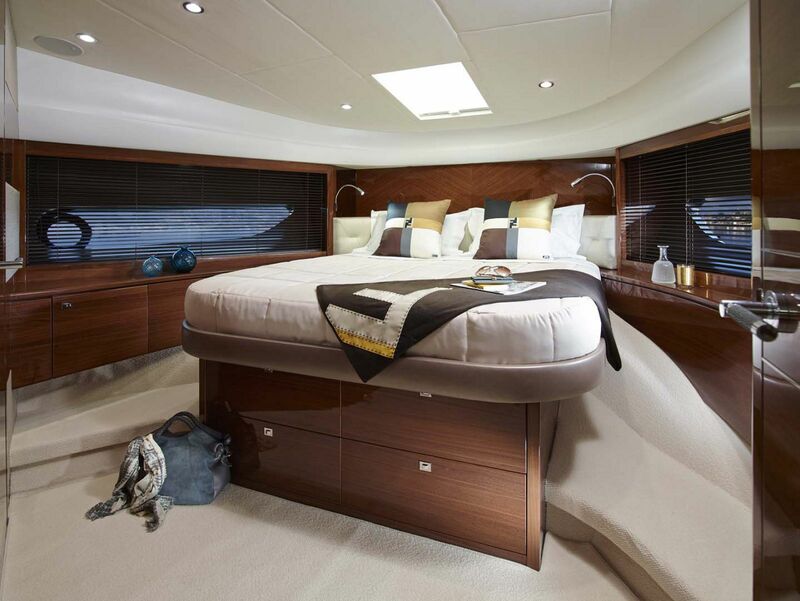 Elegantly proportioned for maximum performance, style, and space, the 18’ 10” beam provides for airy living accommodations with lots of windows and room to move around on board. 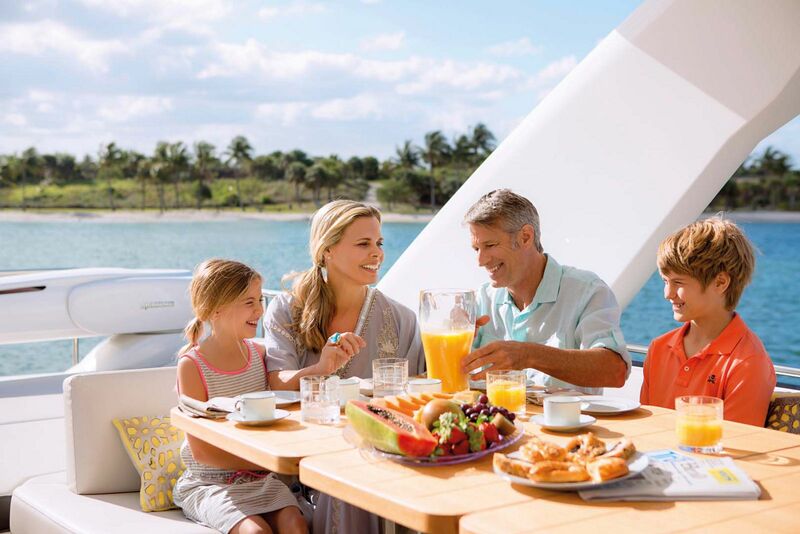 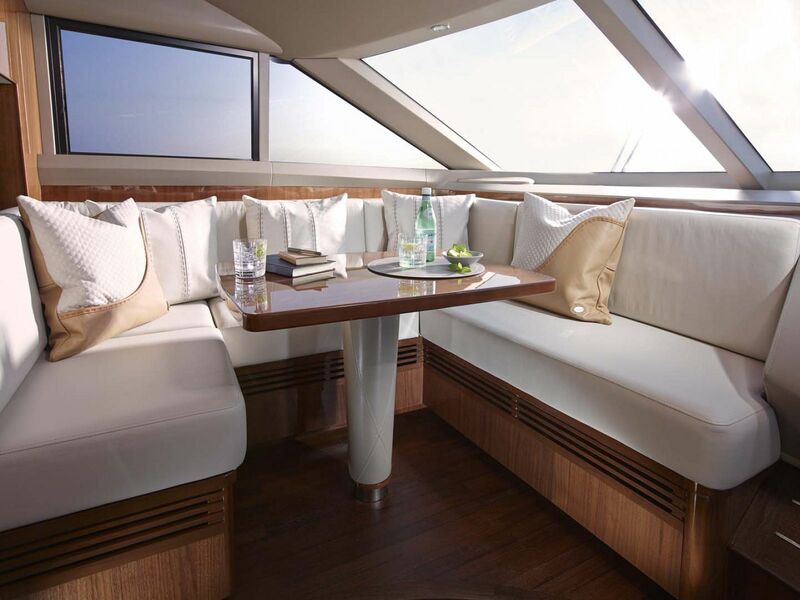 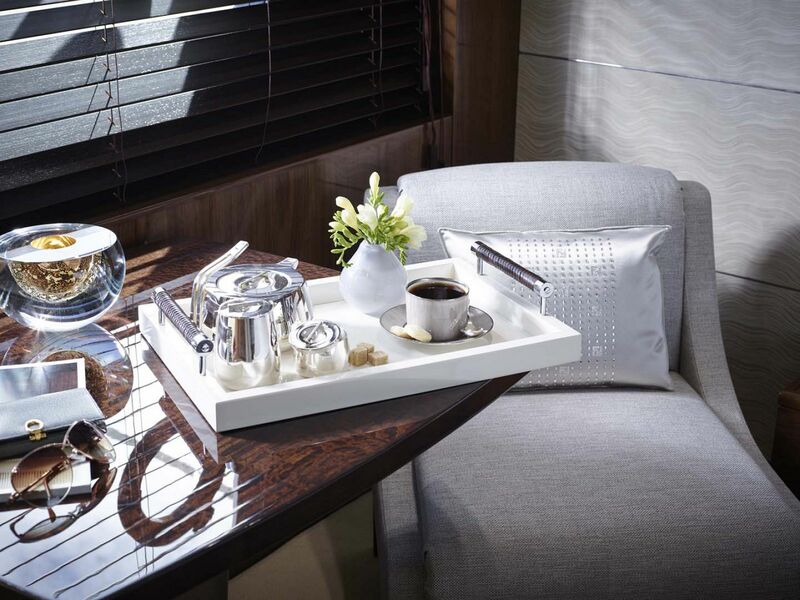 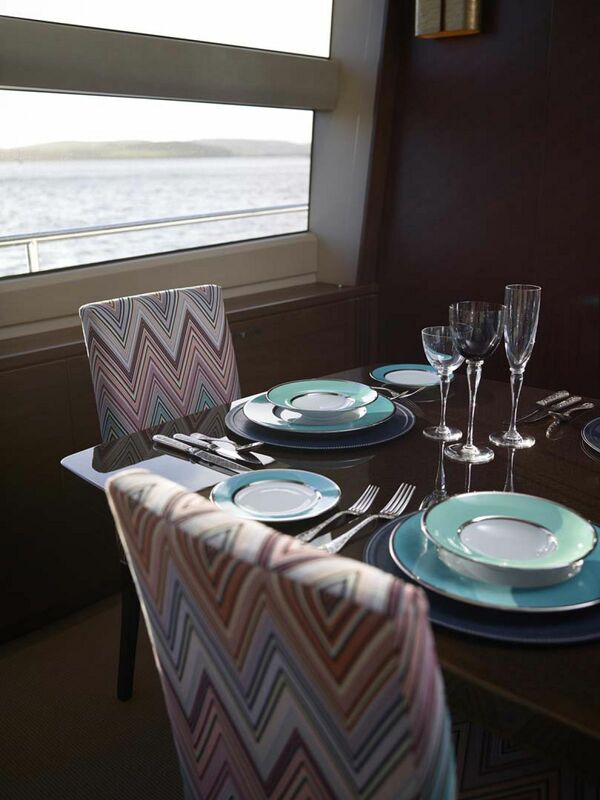 As with the entire Princess model line, there is a substantial amount of places to sit and enjoy the view inside and out throughout the boat. 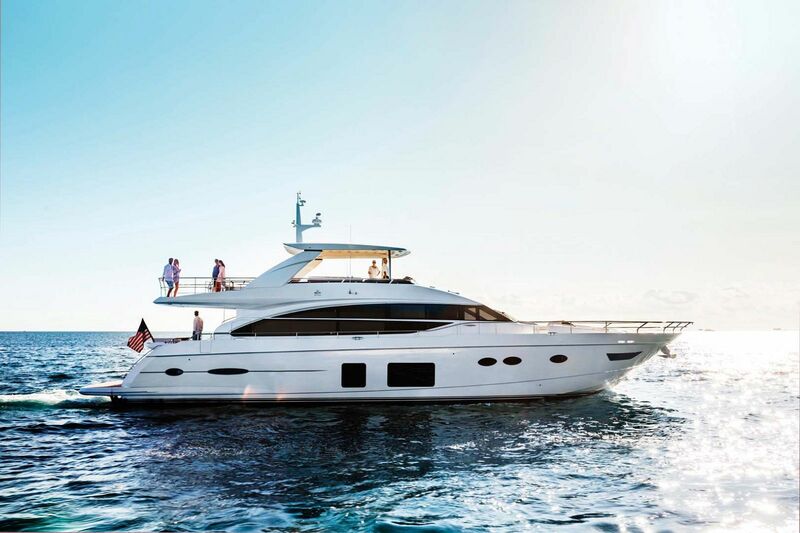 The Princess 82 Motor Yacht is truly a masterpiece of nautical creation that perfectly blends luxurious entertainment options, extended trip comfortability, and top-end performance. 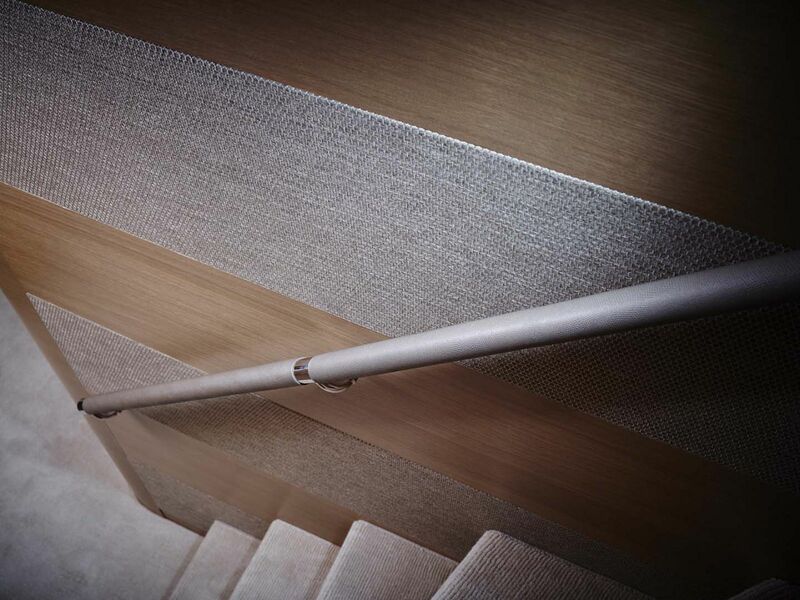 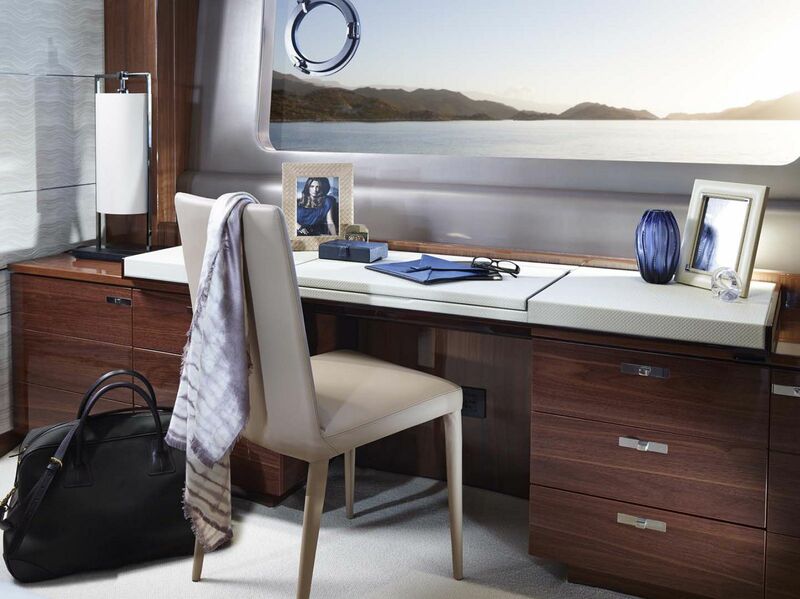 While using a resin-infusion process in constructing high-end yachts today isn’t unique itself, the Princess factory has refined this method by using a push-pull infusion system that results in an incredibly strong hull, especially since the 82MY uses a PVC coring in the topsides. 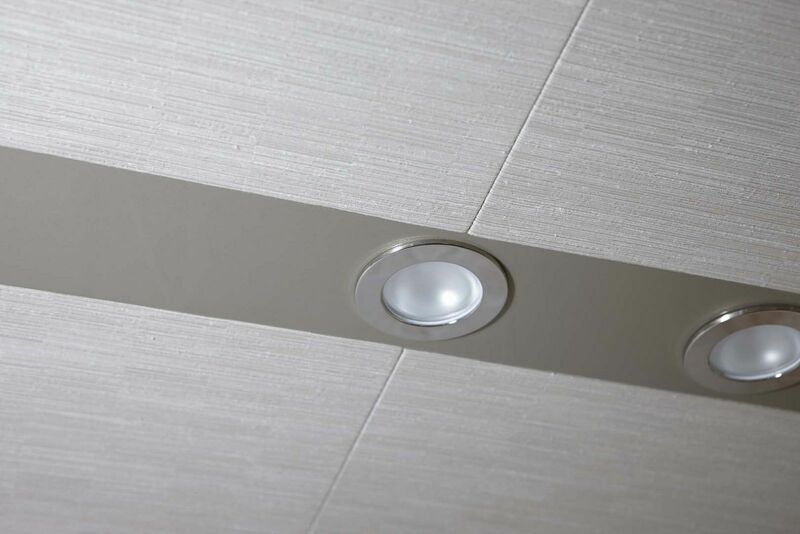 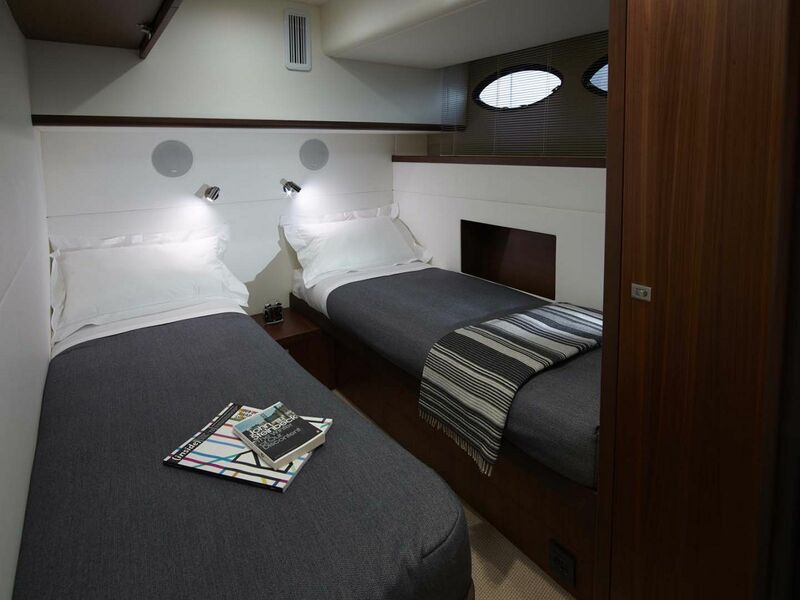 Not only does this help the 82MY meet both U.S. Coast guard and American Boat & Yacht Council standards, but it also benefits the design and accommodations on board as well. 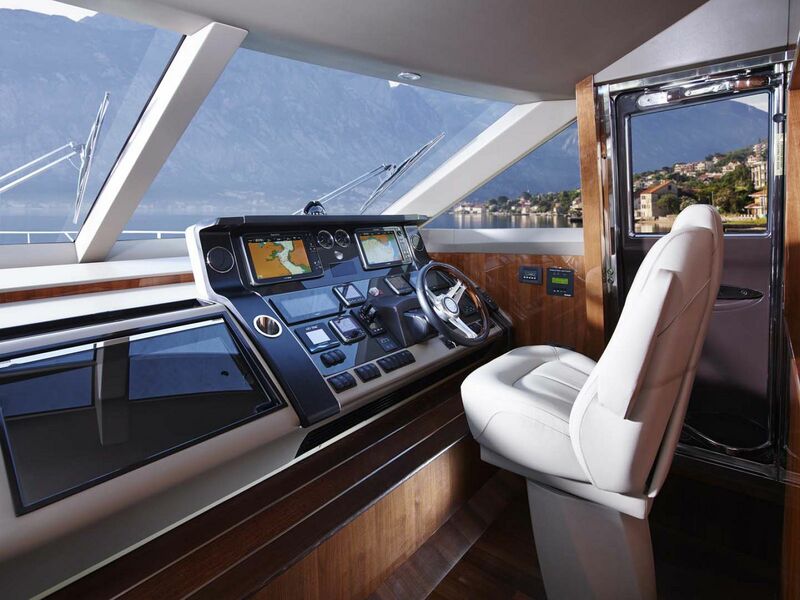 Since the hull is so strong using this process there is less of a need for additional structural support which results in more space for the interior. 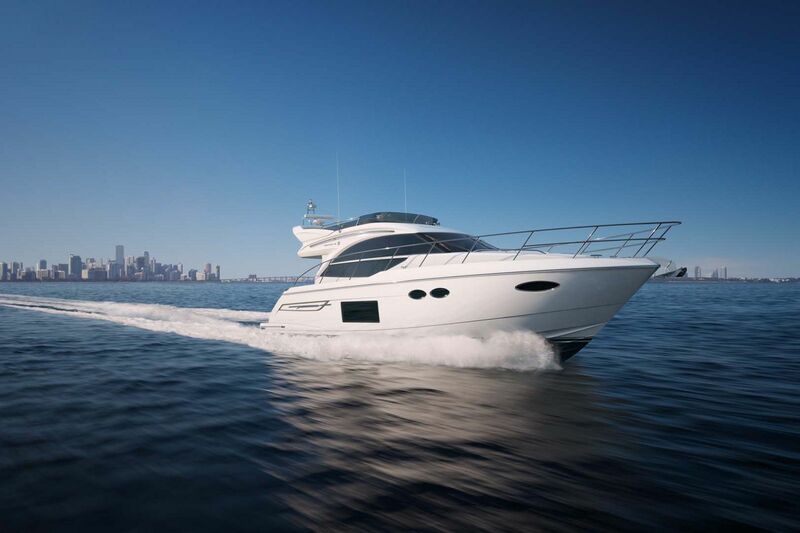 The 82MY feels like a much larger yacht with the extra room inside and the massive windows that line the salon and dining area. 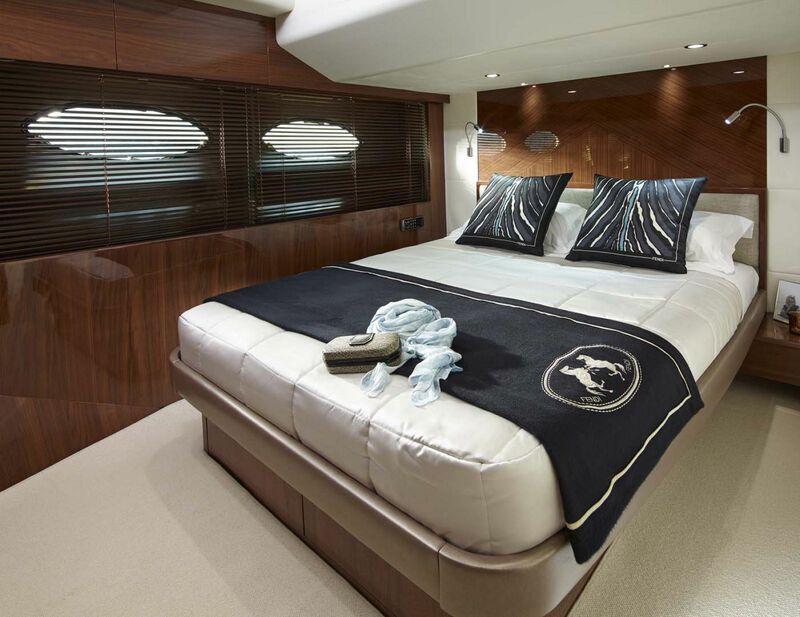 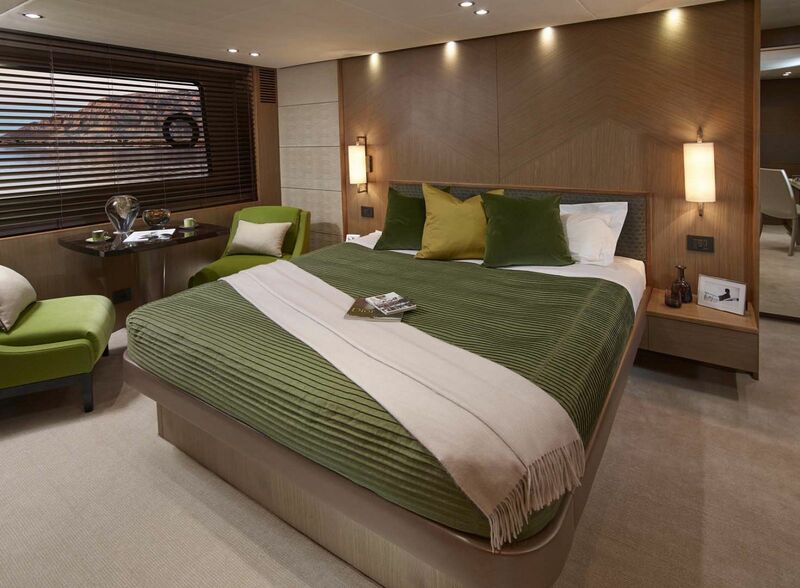 Another area that is noticeably larger than most yachts in its class is the engine room which is entered via the crew quarters. 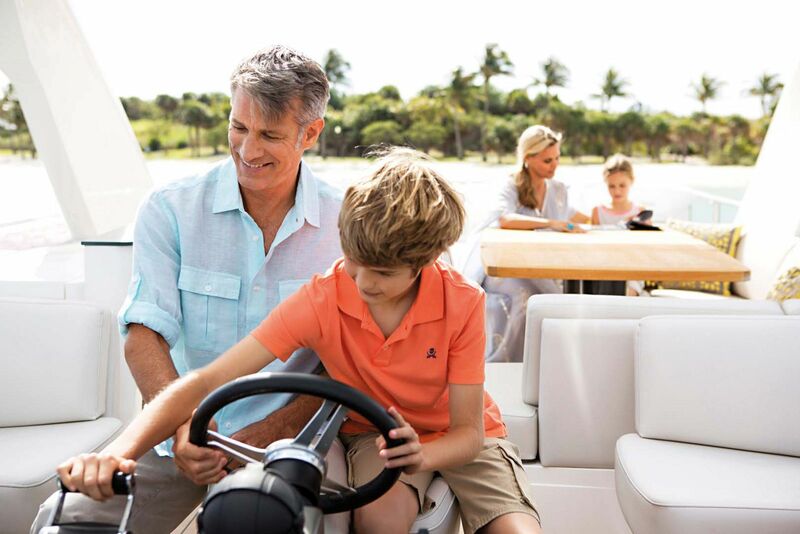 Access to plumbing and all of the systems is readily available and there is room to move around the Onan generators. 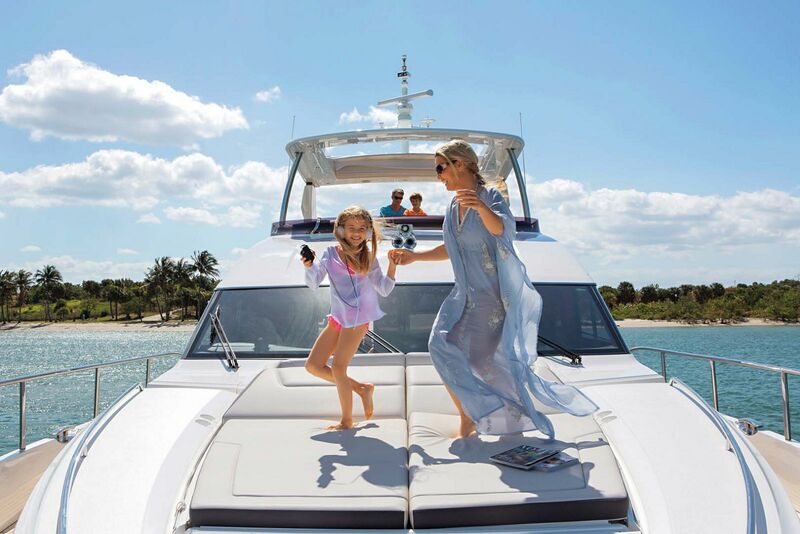 The standard power package on the 82MY includes twin Caterpillar C-32 ACERT 1,622hp engines, however owners can choose to upgrade for additional speed to twin MTU 10V 2000 M94 1,624hp engines or CAT 1,723hp engines. 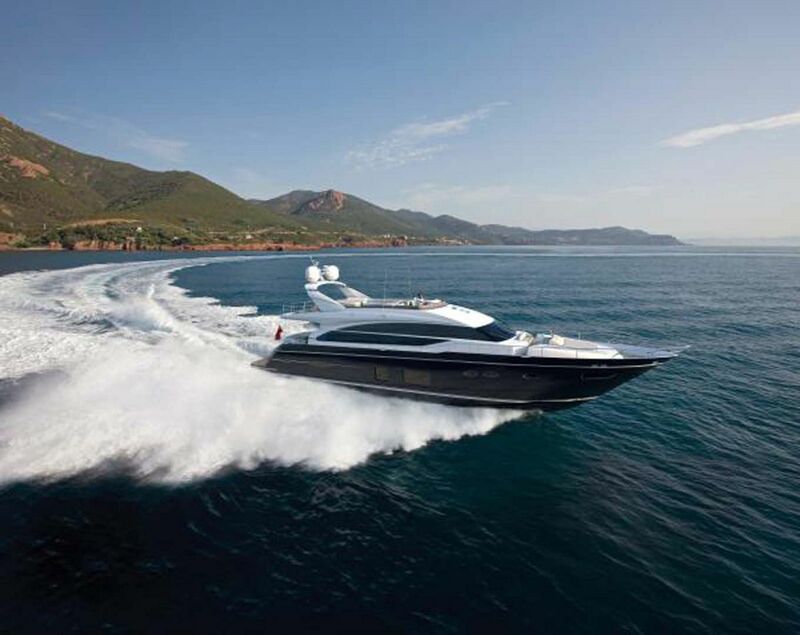 Top speed on the 82MY falls between 32 and 34 knots and a comfortable cruising speed in the mid-20 knots range. 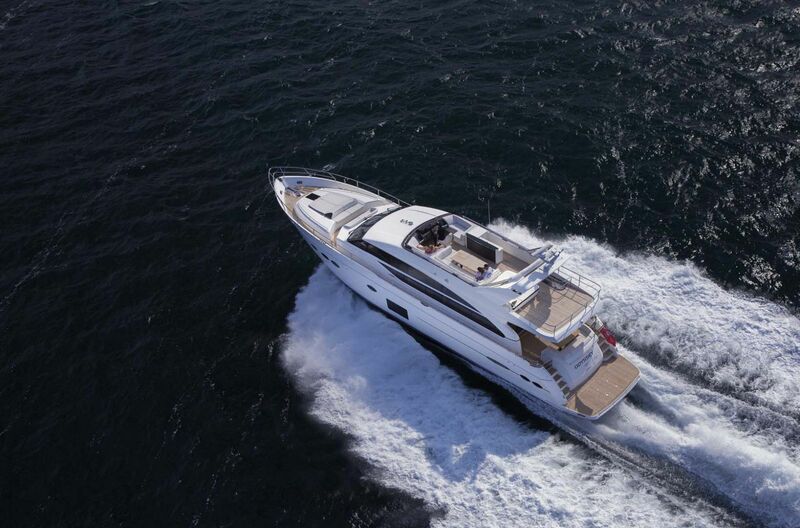 With a fuel capacity of over 1,700 gallons, the 82MY can cruise efficiently for an exceptional amount of time for a yacht in its class. 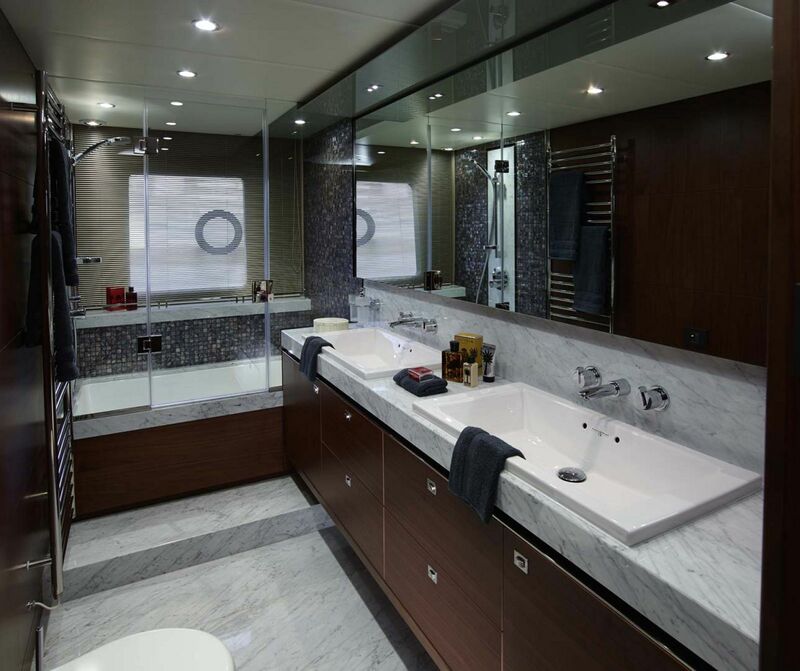 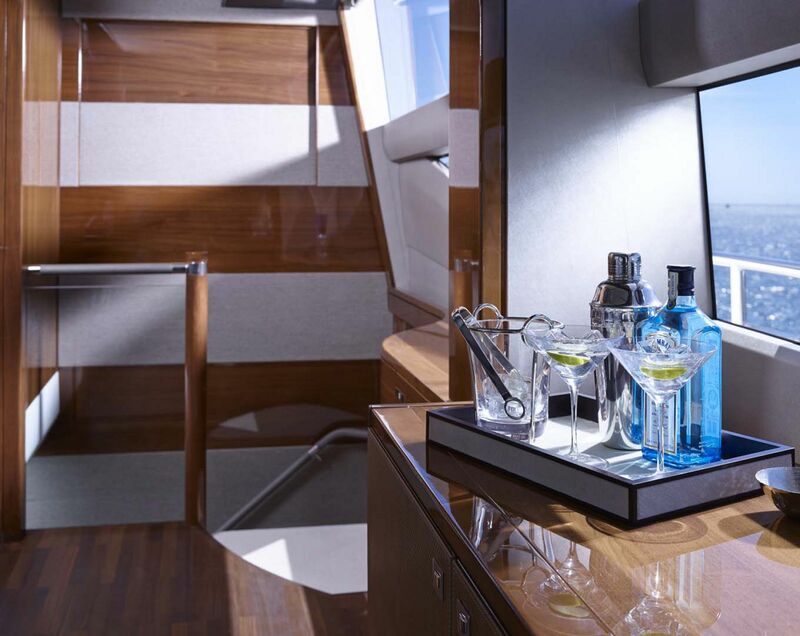 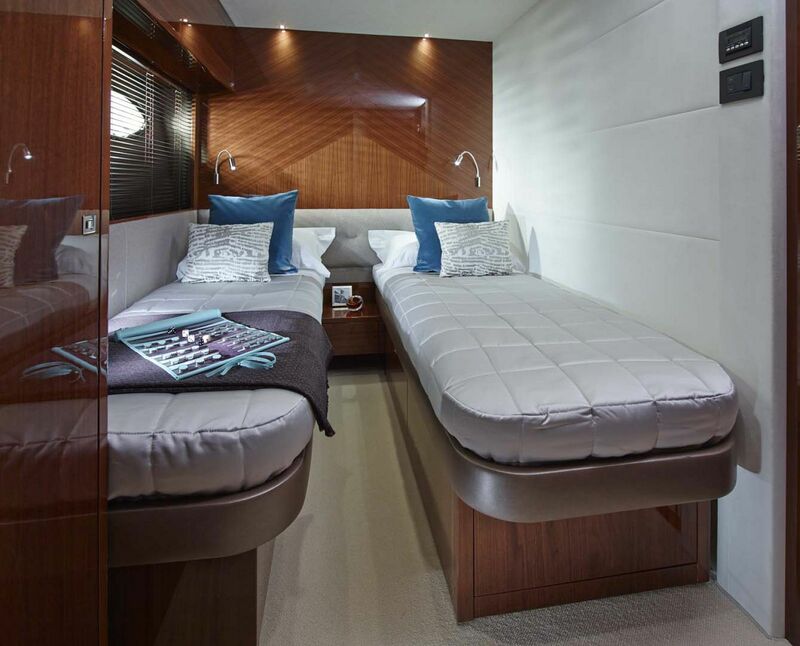 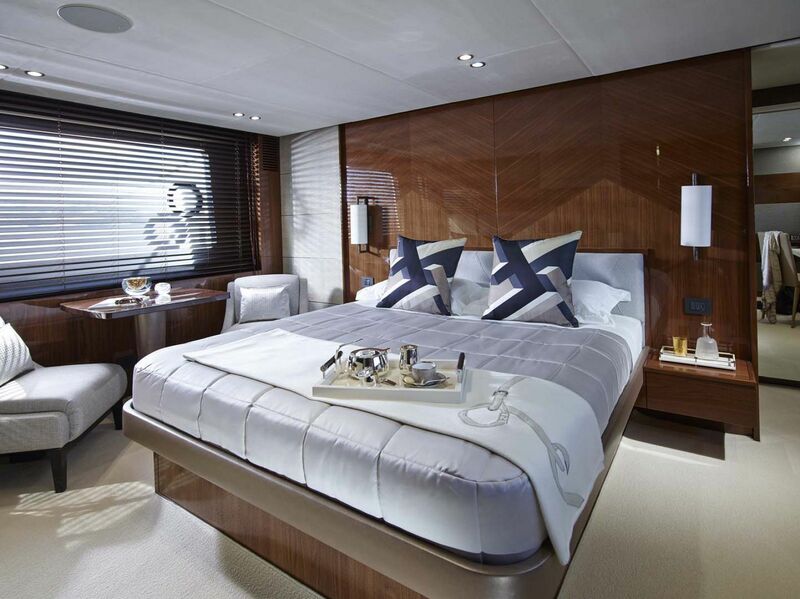 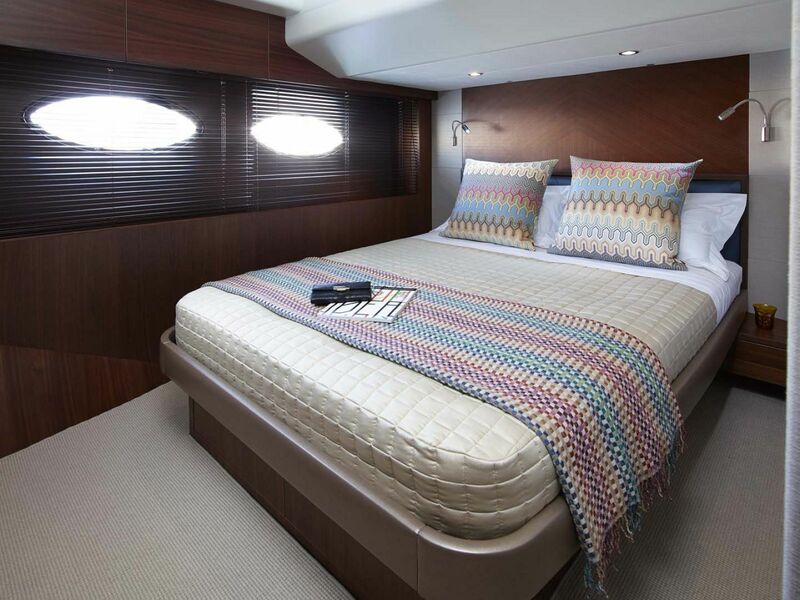 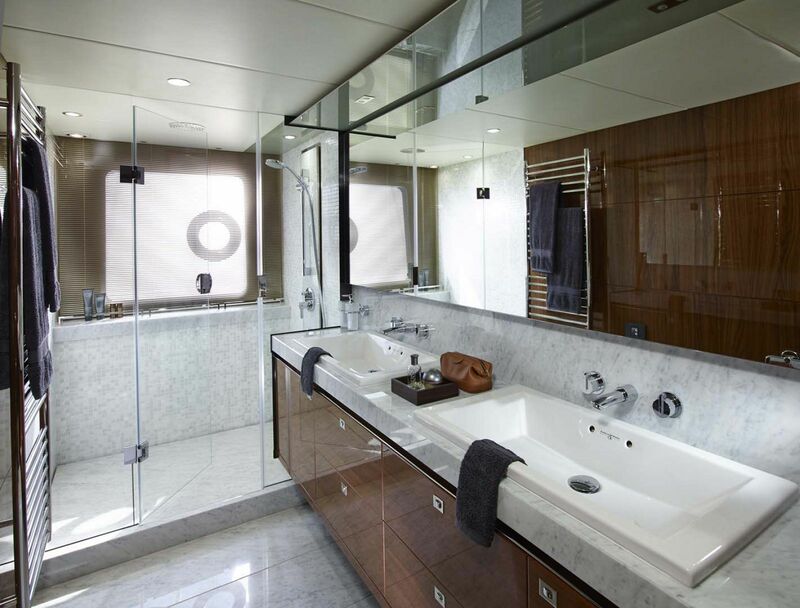 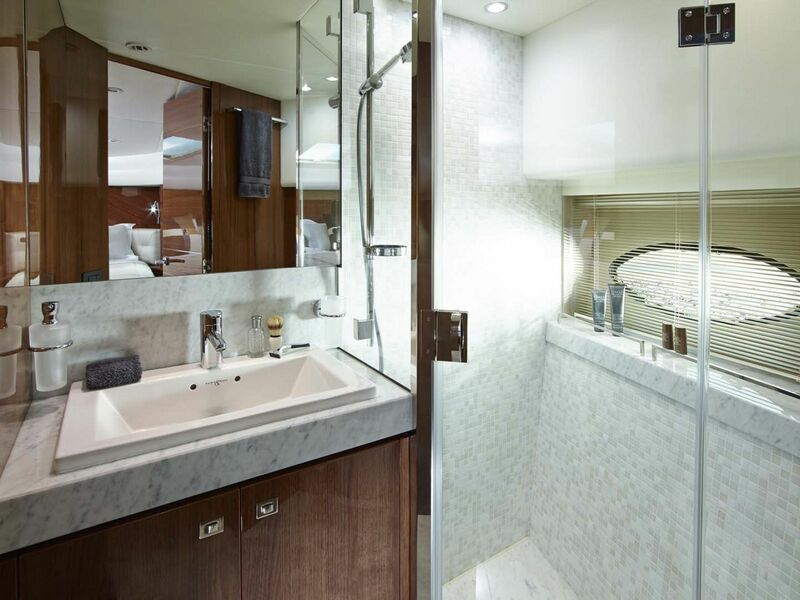 The 82 Motor Yacht layout features a master stateroom amidships with a king-sized berth with nightstands on both sides and lots of room to walk around. 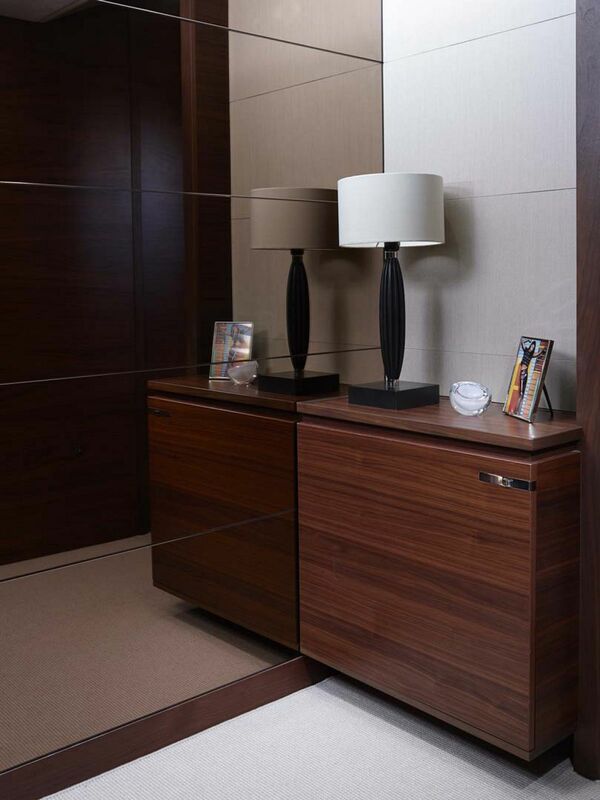 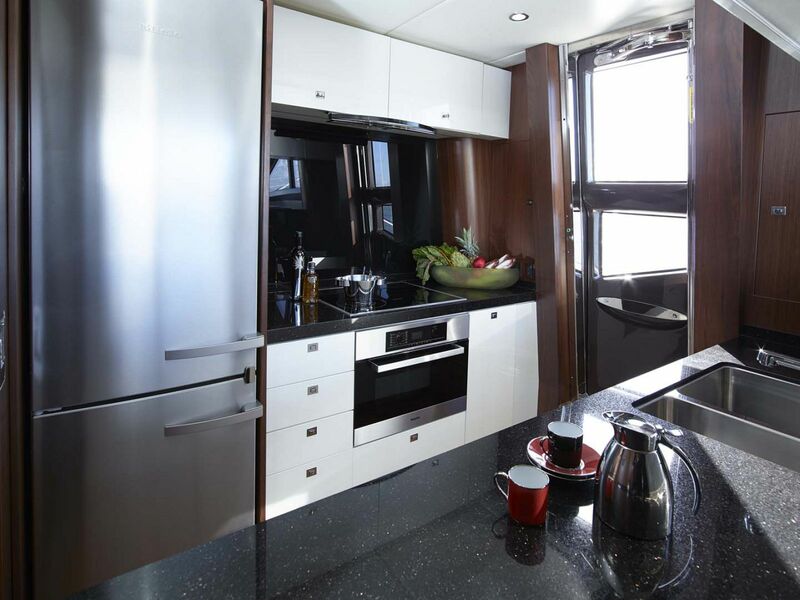 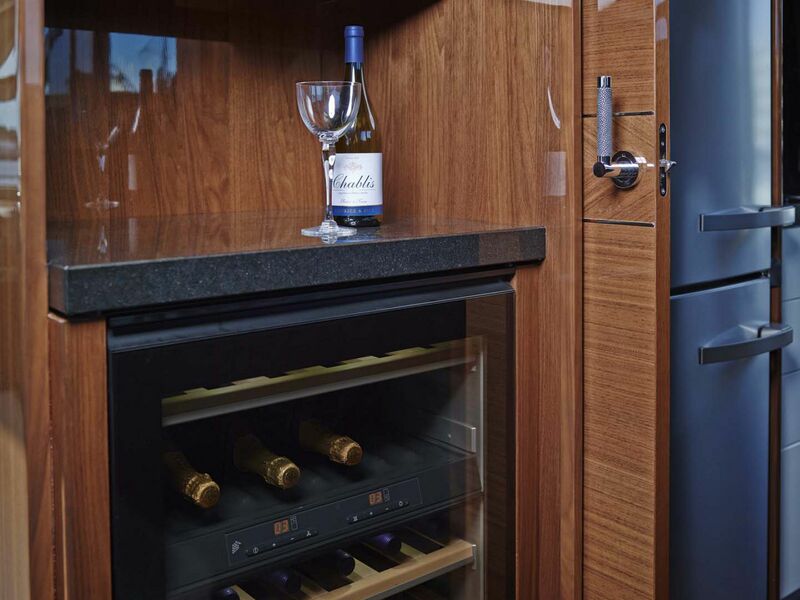 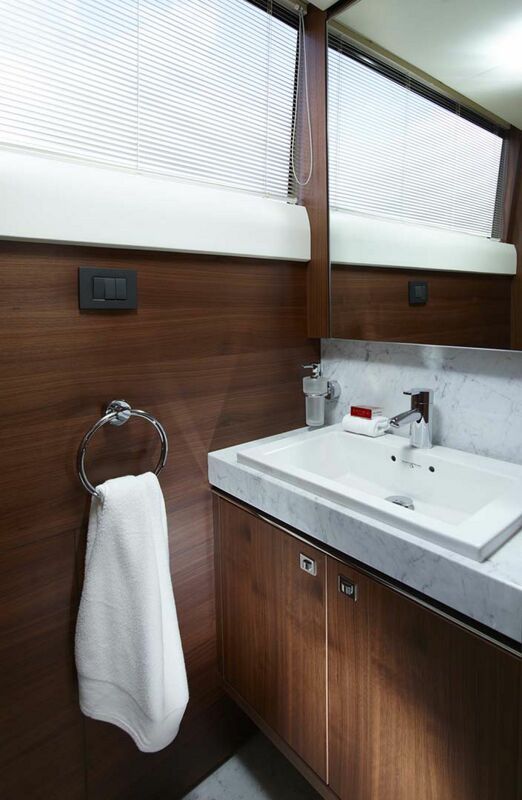 A flat screen television is mounted to the wall in front of the berth and there is ample hanging lockers and storage for clothes. 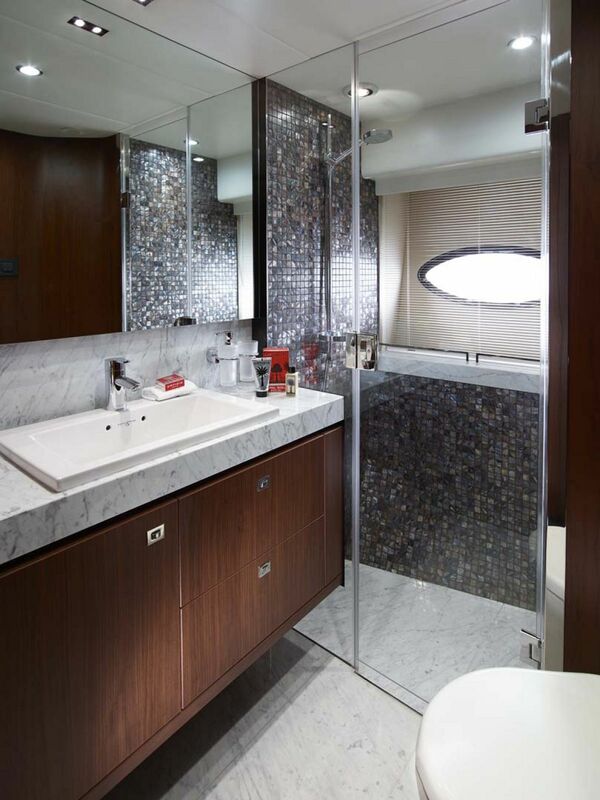 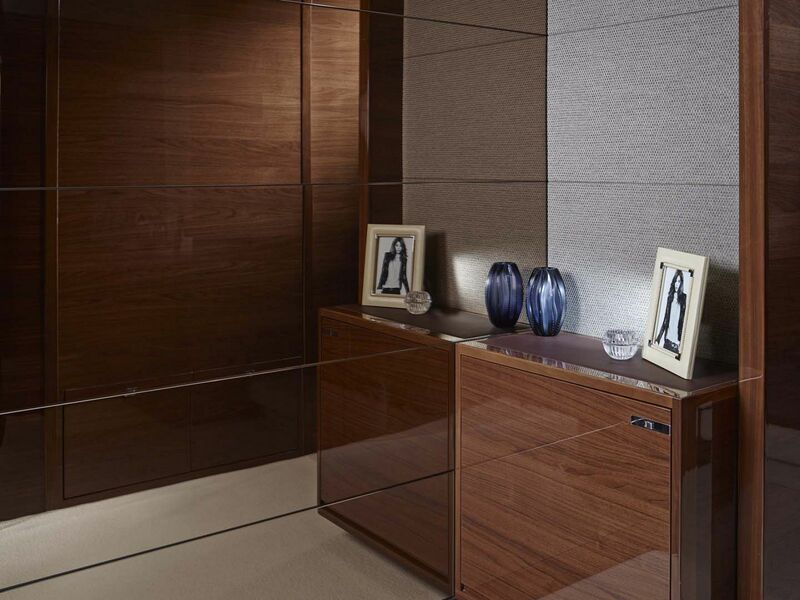 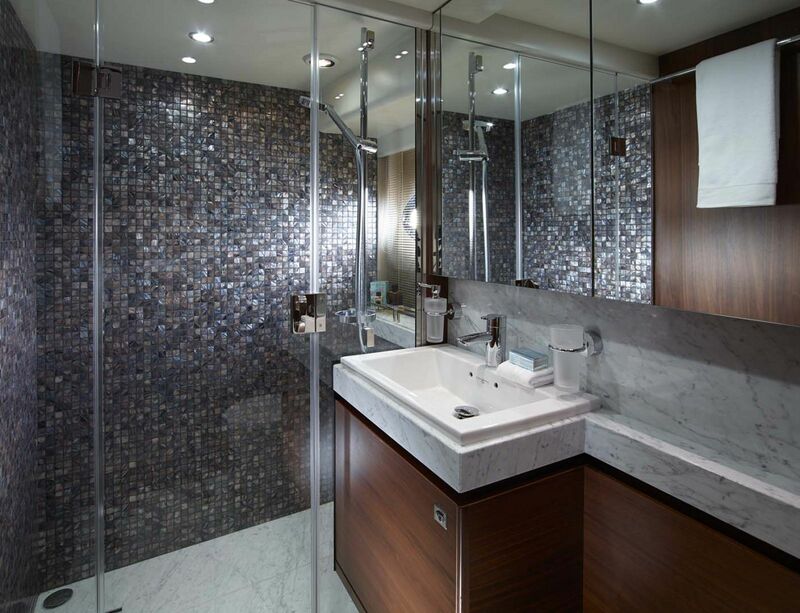 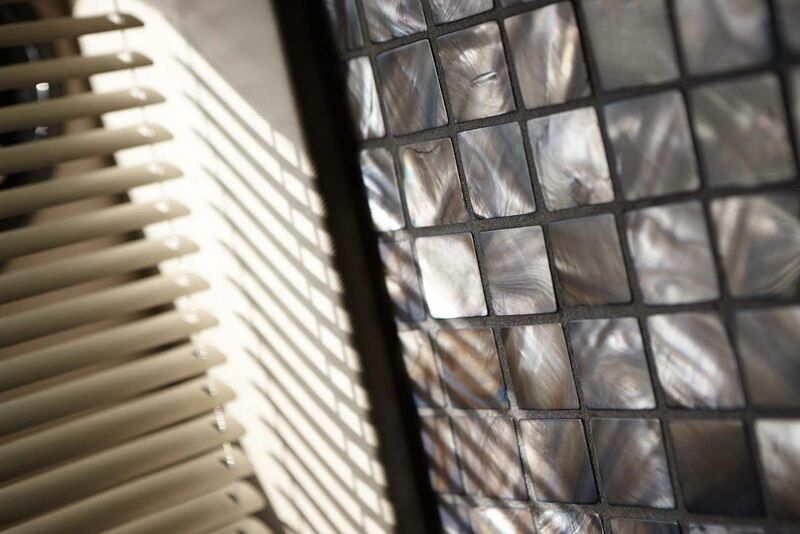 The walk-in master head is accented in marble, has his-and-hers sinks and a walk-in shower. 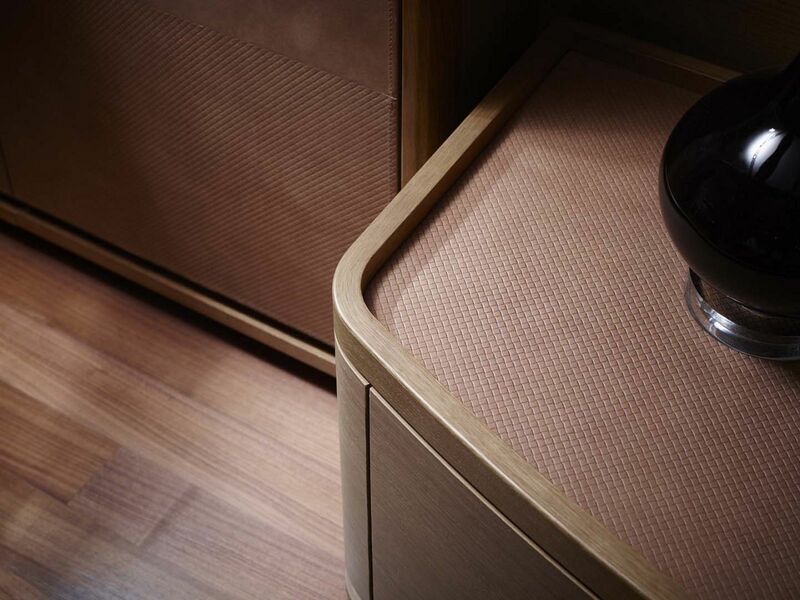 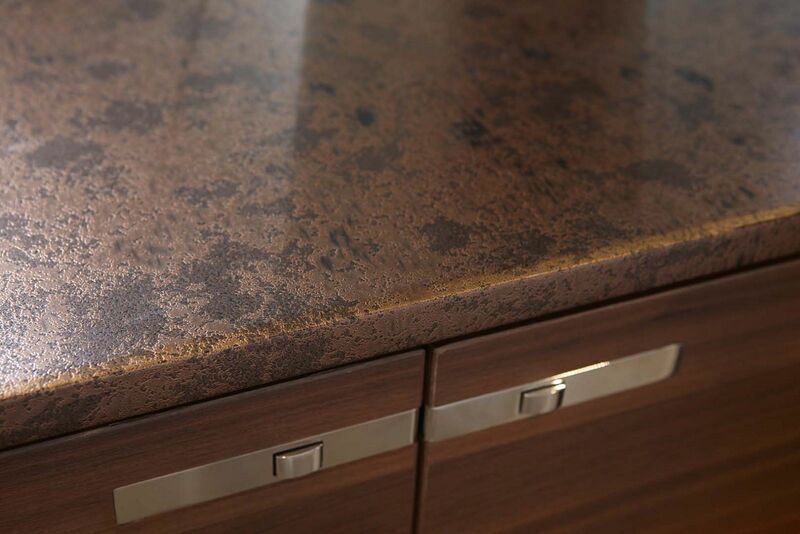 An option tub can be added if needed. 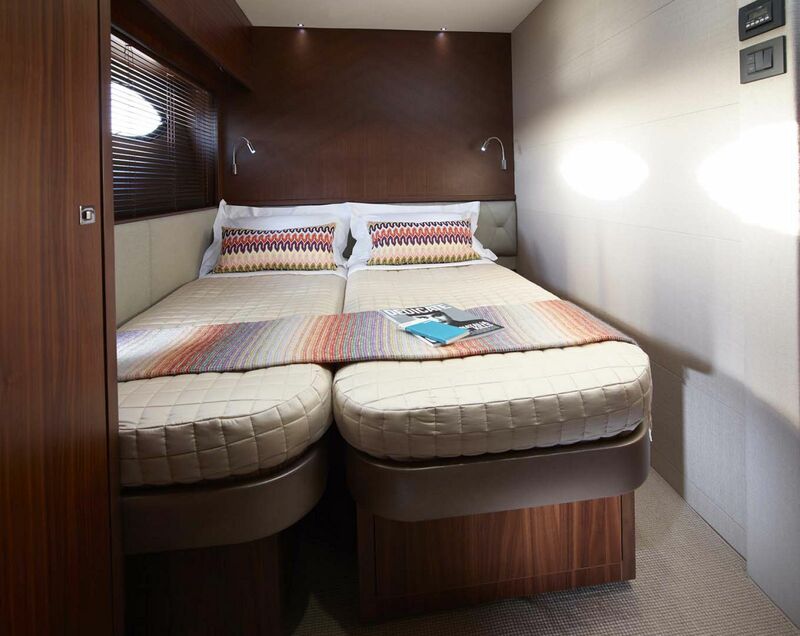 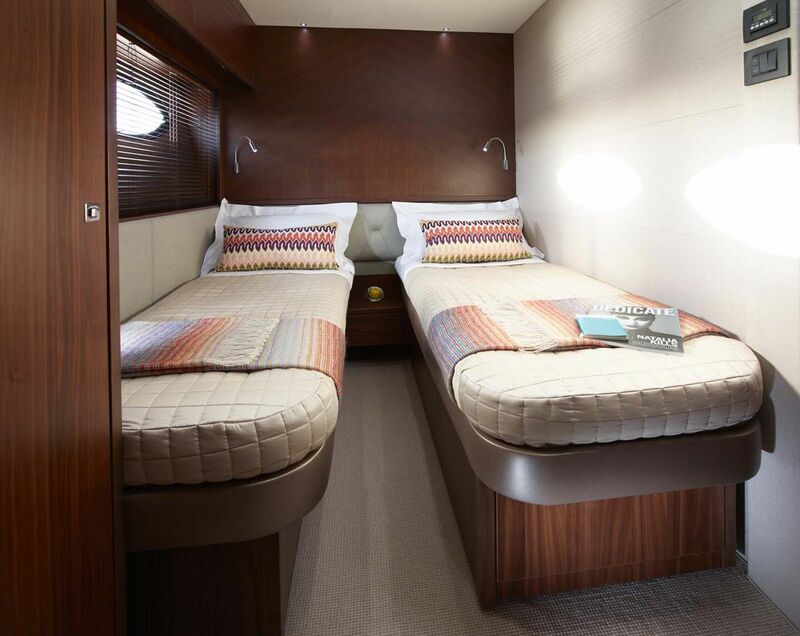 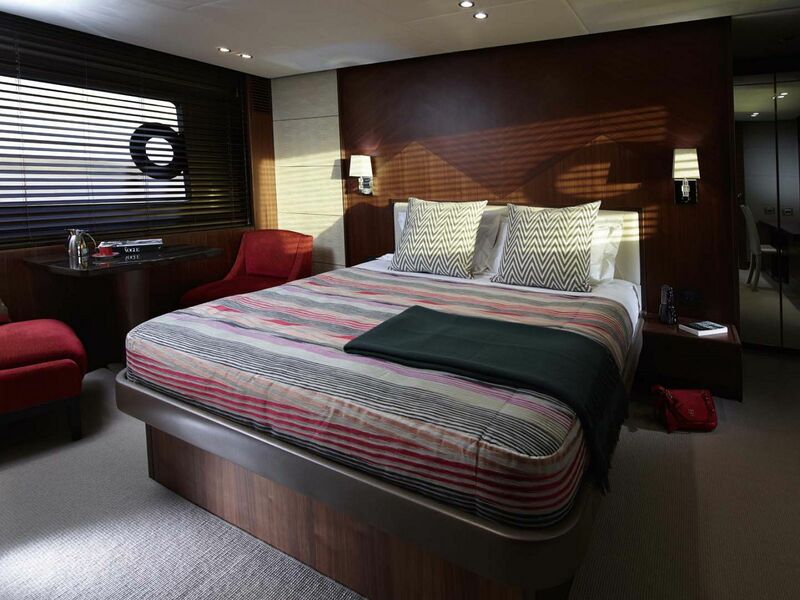 Three additional staterooms on board each have their own private head, two of which feature queen-sized berths and one that has side-by-side bunks. 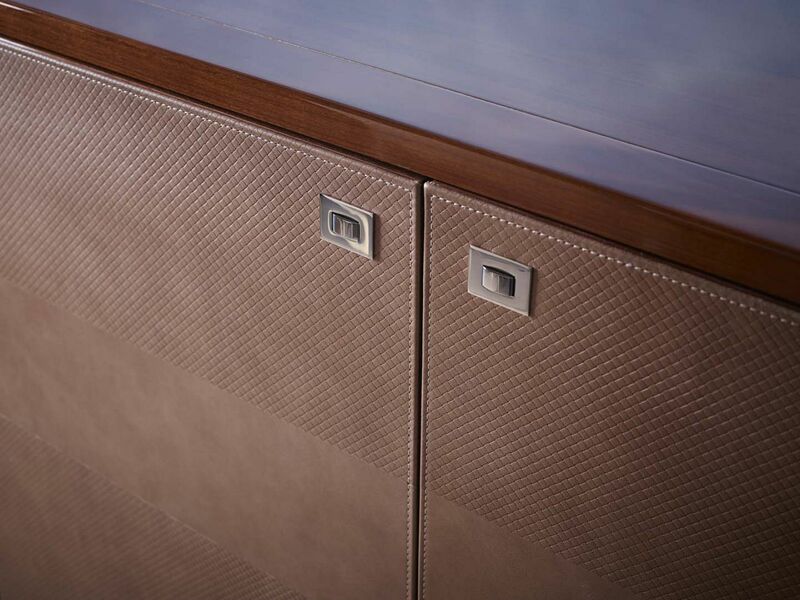 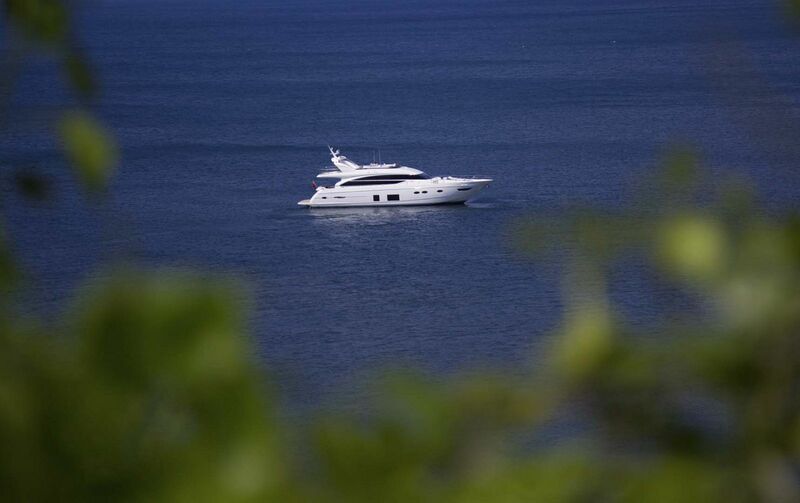 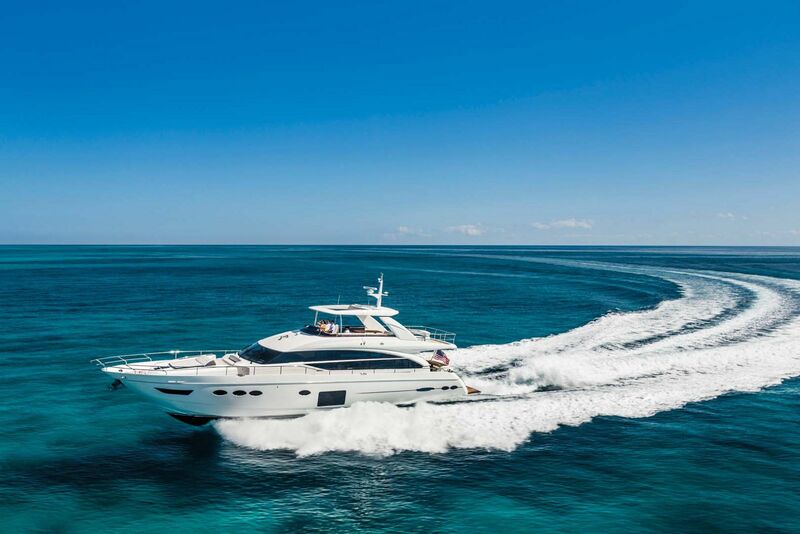 For more information on the Princess Yachts 82 Motor Yacht, contact your Staten Island Yacht Sales Professional today. 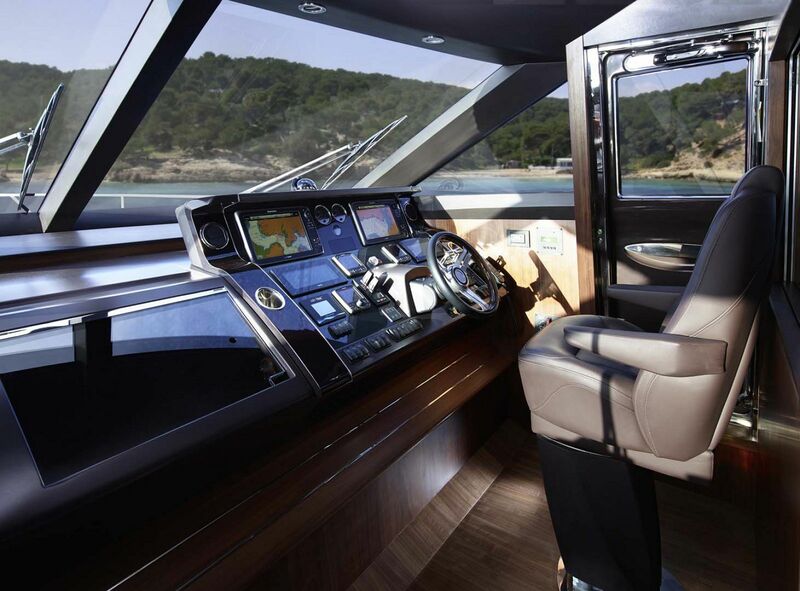 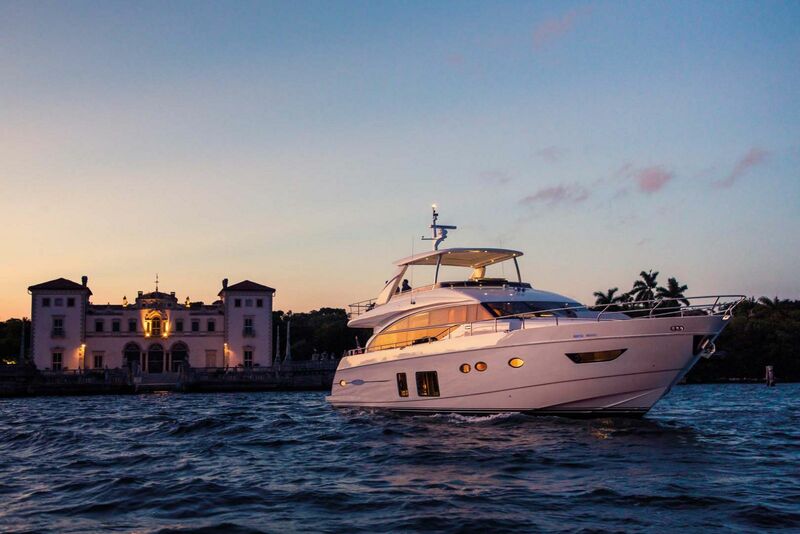 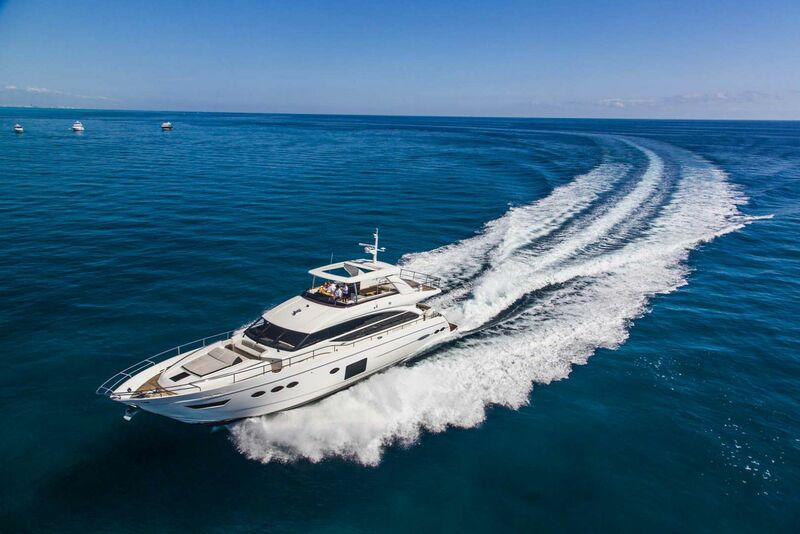 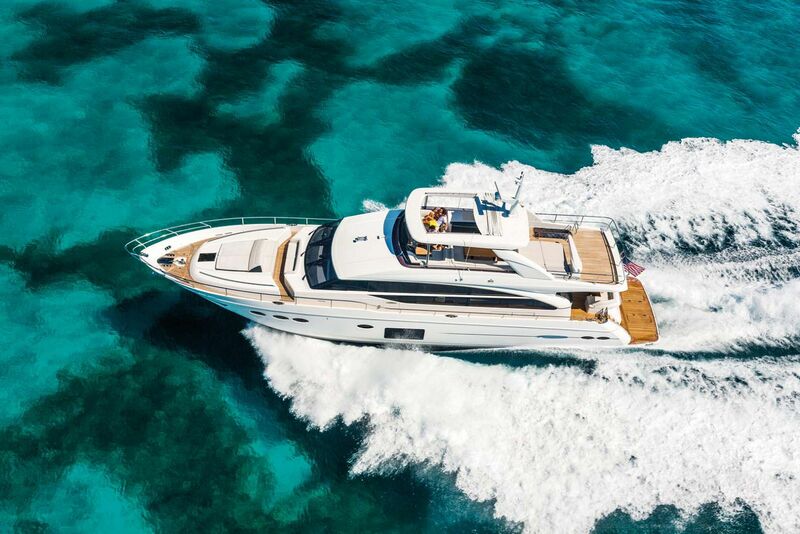 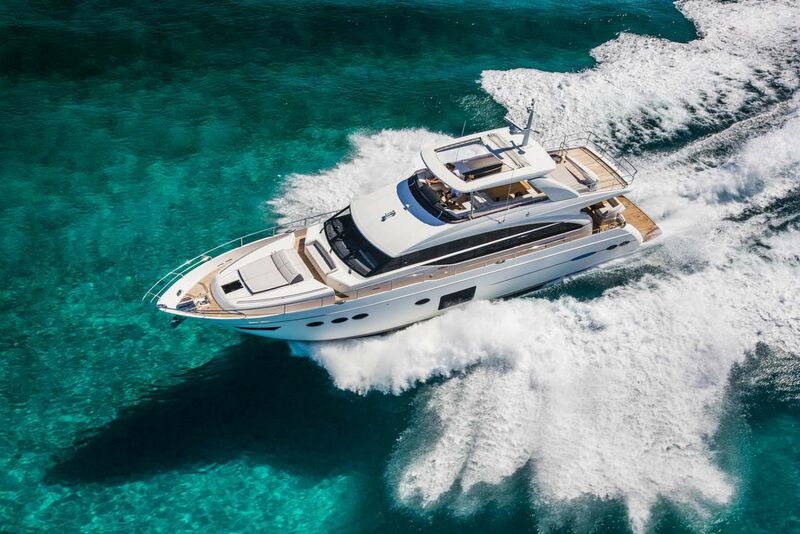 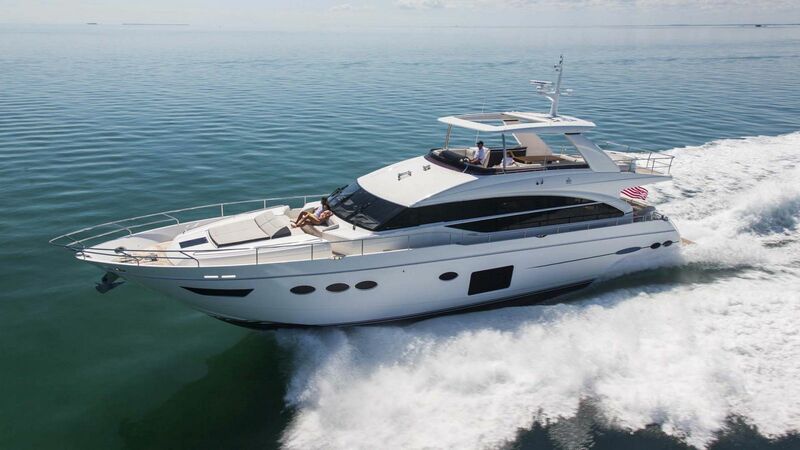 Power & Motor Yacht magazines tests the innovative Princess Yachts 82 Flybridge. 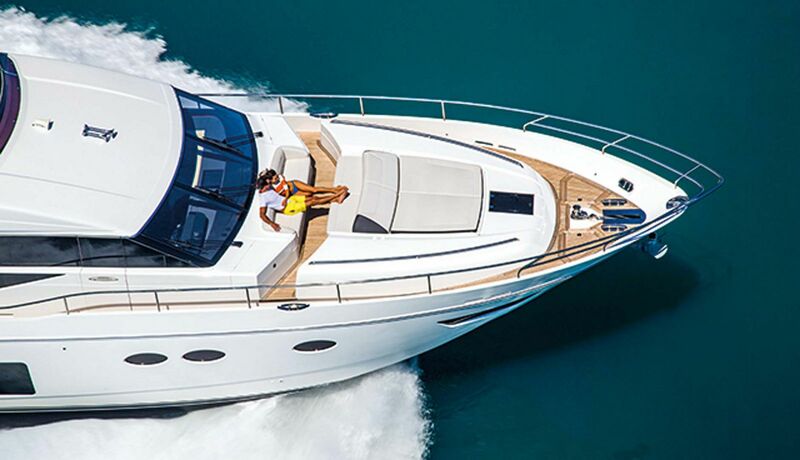 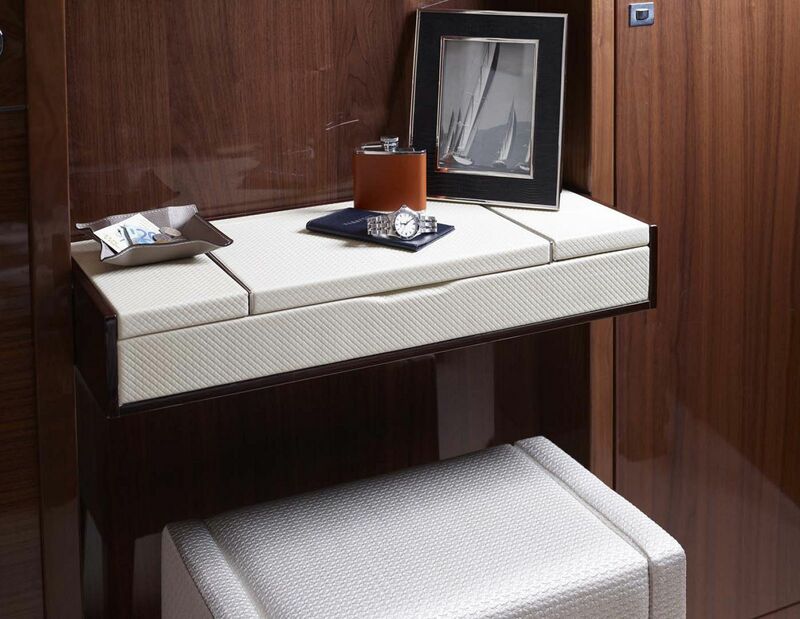 Princess Yachts' 82 is a feature-packed craft that was born to cruise blue water. 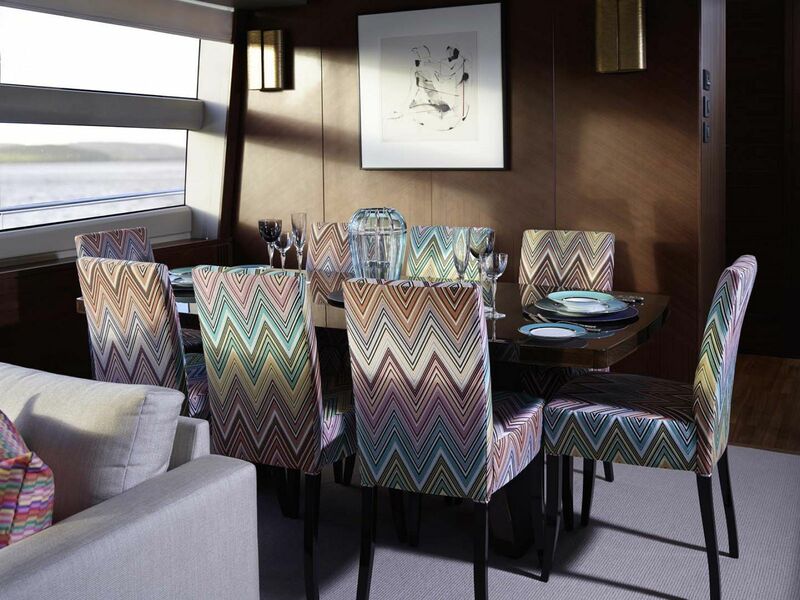 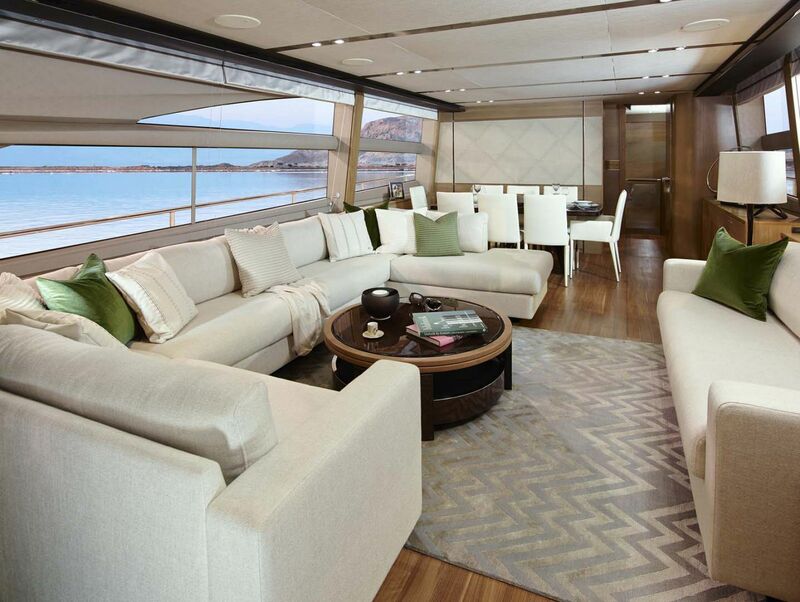 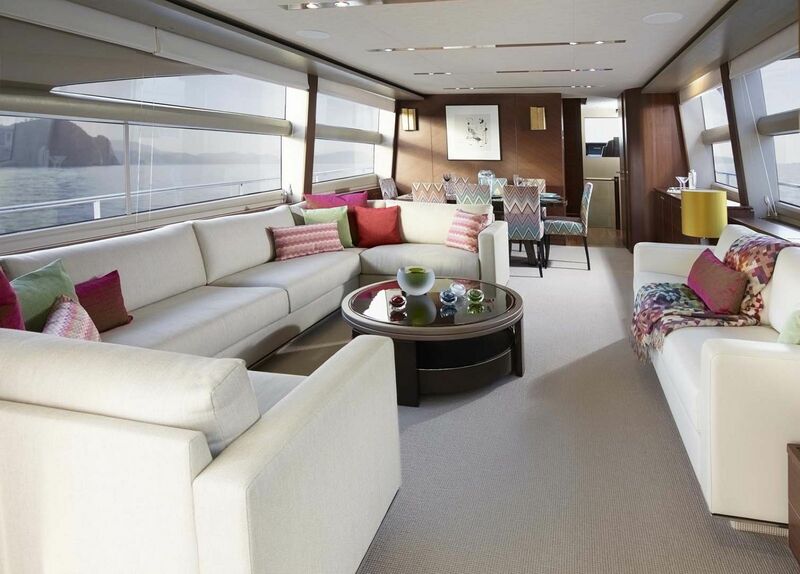 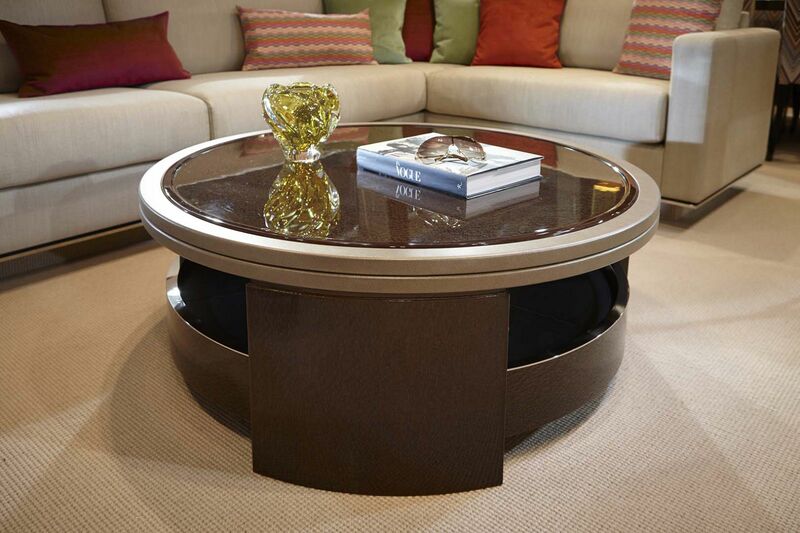 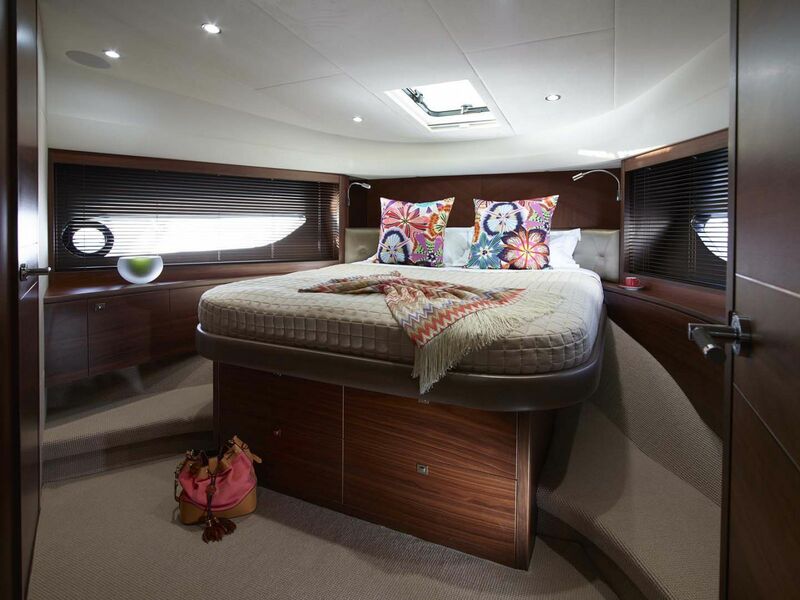 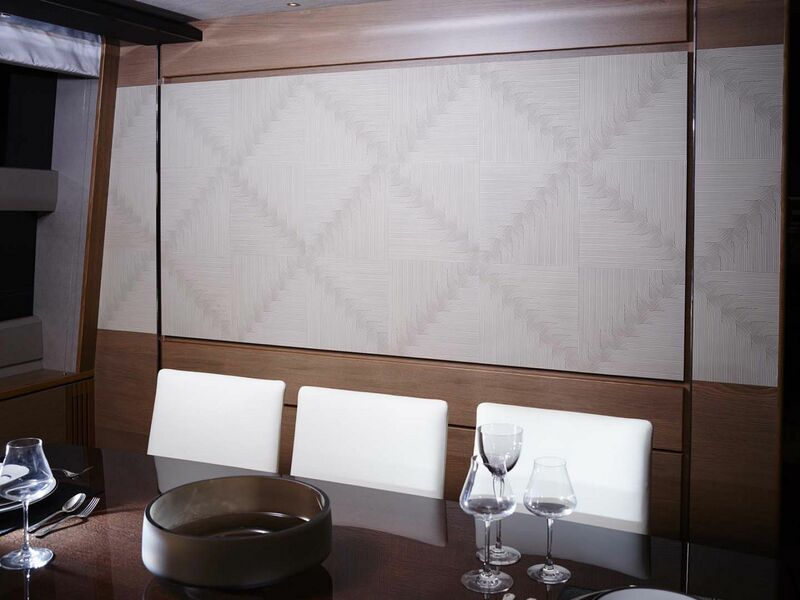 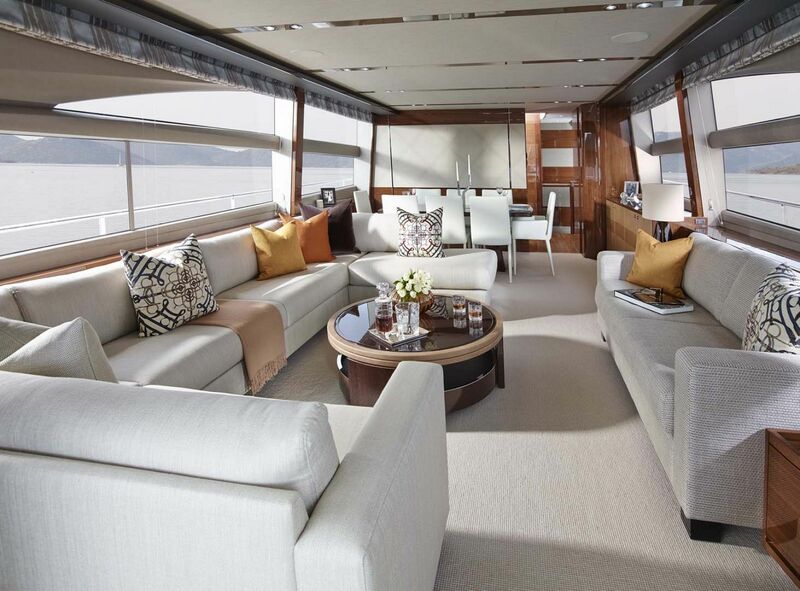 Princess Yachts created this virtual tour of the new 82 Flybridge Motor Yacht. 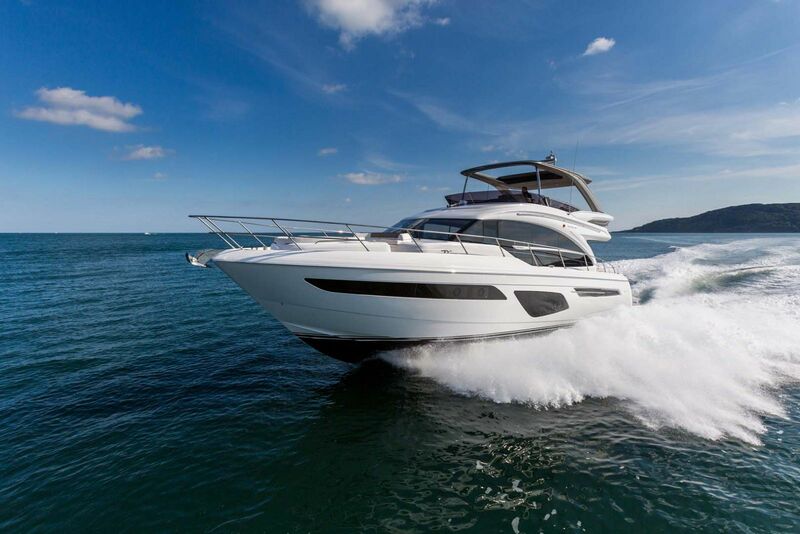 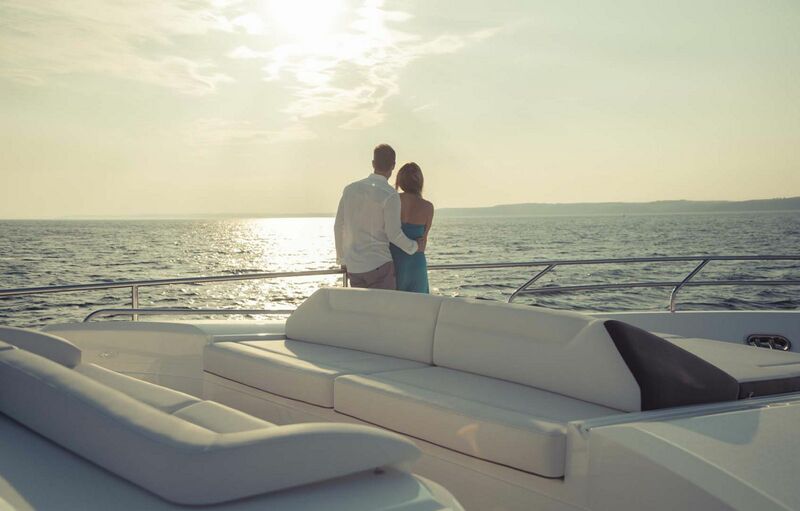 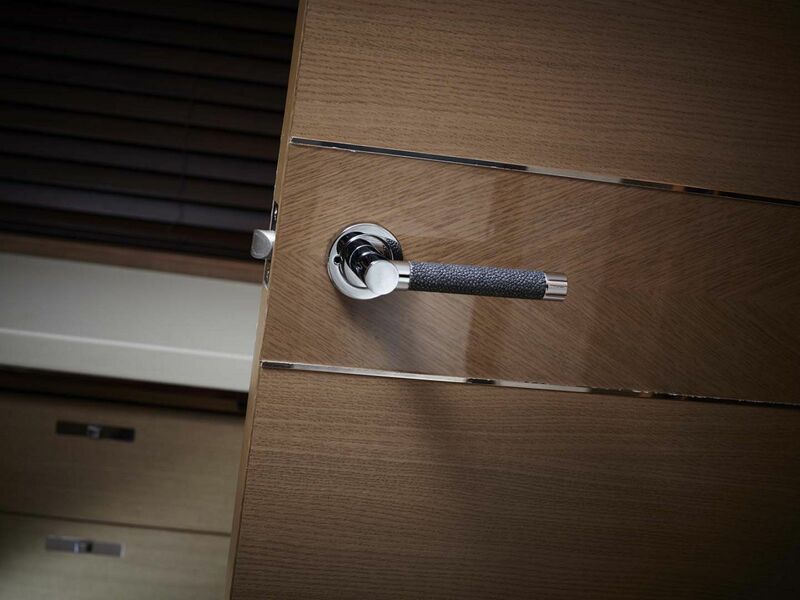 Princess Yachts released this official video trailer on hte 82 Flybridge Motor Yacht.